Cañonita fuses heritage with innovation by staying true to a menu of soulful, scratch-made Mexican recipes from sun-up to late-night. From flavor-packed street tacos cozied in hand-pressed tortillas to spicy sauces and house-made guacamole, every meal is a feast for the eyes and adventure for the taste buds. As the only restaurant located along the canal-front in The Venetian® and The Palazzo®, Cañonita offers guests a unique opportunity to experience the sights and sounds of the Grand Canal with waterfront views of the resort’s famous singing gondoliers. No matter the time of day, Cañonita is the perfect place for an authentic, flavorful bite from breakfast to late-night, grab-and-go and sit-down dining. With more than 26 years of professional culinary experience, Daniel Marquez brings creativity and passion for Mexican cuisine to his role as executive chef. Born and raised in Mexico City, Marquez spent time throughout his childhood traveling and learning the customs and culinary traditions of his homeland. He moved to California in 1991 to pursue his interest in cooking gaining experience and harnessing his skills. Certified by the Culinary Institute of America and American Culinary Federation, Marquez has opened and developed successful concepts in collaboration with award-winning chefs Mark Kiffin, Mark Miller and Stephan Pyles in Las Vegas including Coyote Café at the MGM Grand. 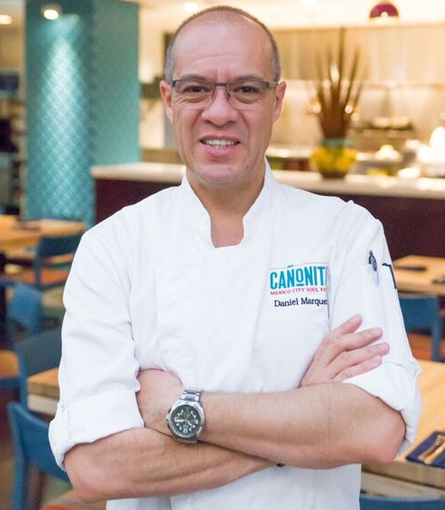 Marquez opened and served as executive chef at Canonita from 1999-2012. After living in Las Vegas for nearly 20 years, he moved to Albuquerque to once again work with Chef Mark Kiffin and open Zacatecas Tacos + Tequila where he was nominated for Chef of the Year by New Mexico Restaurant Association. In early 2017, returned to Cañonita as executive chef bringing a seasoned veteran back to the helm of Las Vegas’ favorite Mexican restaurant. Driven by an affinity for customer service, Annaliza McKinney has spent more than 30 years in the hospitality industry. McKinney boasts a seasoned approach to food service management utilizing her experience to continually deliver exceptional experiences to guests. Originally from the Philippines, McKinney moved to Hawaii at a young age and began her career in the service industry at 15. She worked her way up through the ranks gaining experience with some of the biggest names in the business. In 1995, she was on the grand opening team for Planet Hollywood in Honolulu. 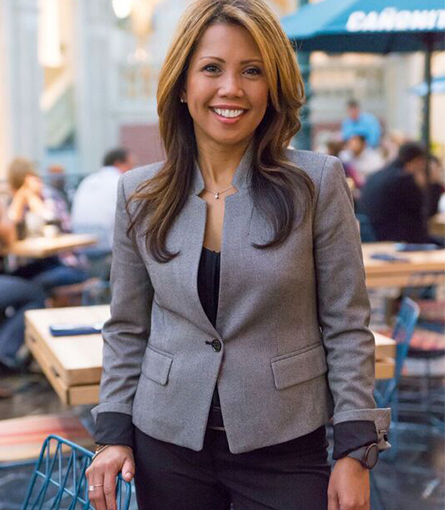 Her position with Planet Hollywood brought her to Las Vegas where she expanded her experience as a lead trainer for Gordon Biersch Brewery. In 1999, she joined the opening team for Cañonita as a lead hostess. Thanks to her resourceful approach, natural management skills, and passion for the industry, McKinney was eventually promoted to General Manager in 2006. During her tenure, she’s led Cañonita to continued success as the restaurant approaches its 20th anniversary. A Mexico City native, Alejandro Rodriguez brings his passion for the hospitality industry to his role as Assistant General Manager. Following time spent working in Puerto Vallarta and Costa Rica, Rodriguez moved to Las Vegas in 2004 where we joined the team at Cañonita. He started as a server before quickly ascending to bartender then bar supervisor. In this role, he was responsible for managing the bar staff while also creating some of the restaurant’s signature cocktails. 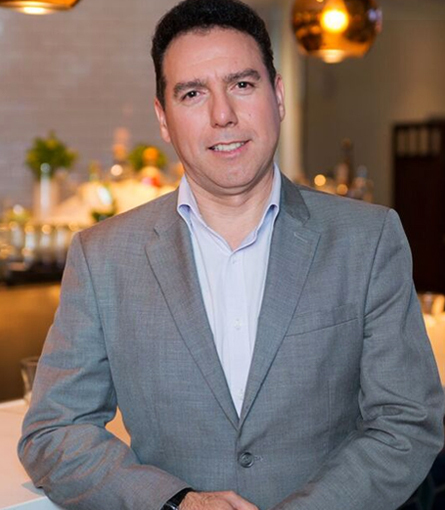 In 2010, he was promoted to the management team as Assistant General Manager where he contributes to the restaurant’s overall success while still driving its innovative bar program.